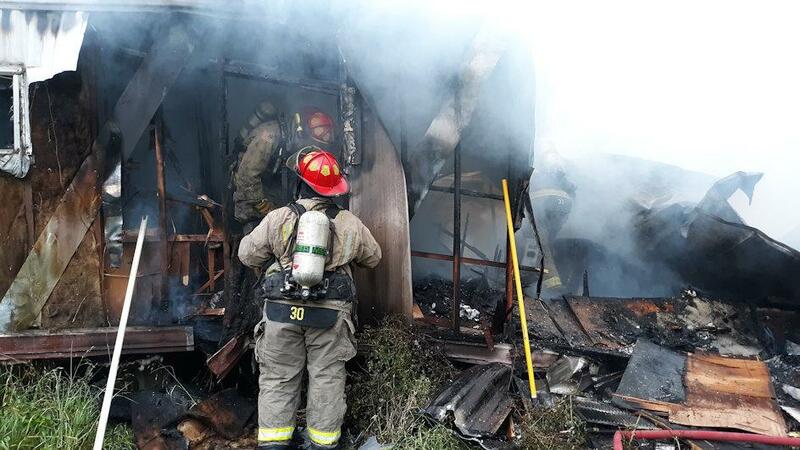 Couple Lose Belongings in Mobile Home Fire, GOODRICH, March 12, 2019 - Shortly before 4 pm on March 11, 2019, Goodrich Volunteer Fire Department was dispatched to 190 FM-1988 West where they found a mobile home engulfed in flames. 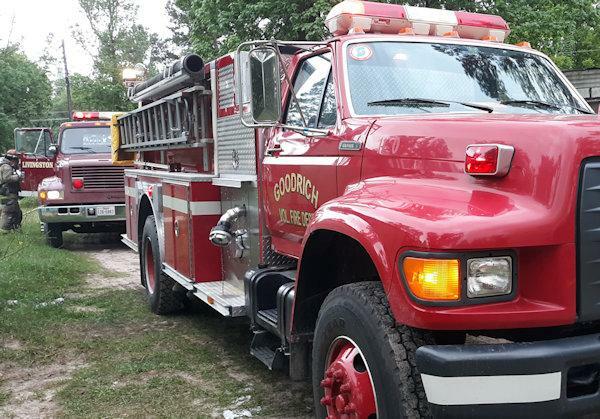 Livingston Volunteer Fire Department was dispatched to assist Goodrich. 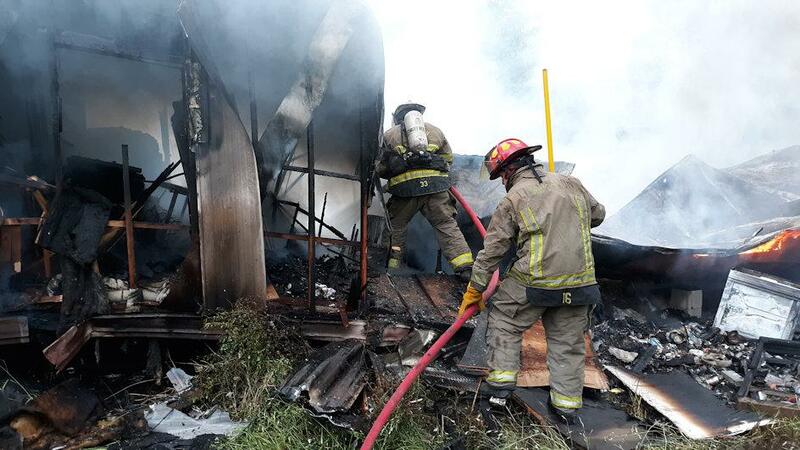 The home and its contents burned to the ground. 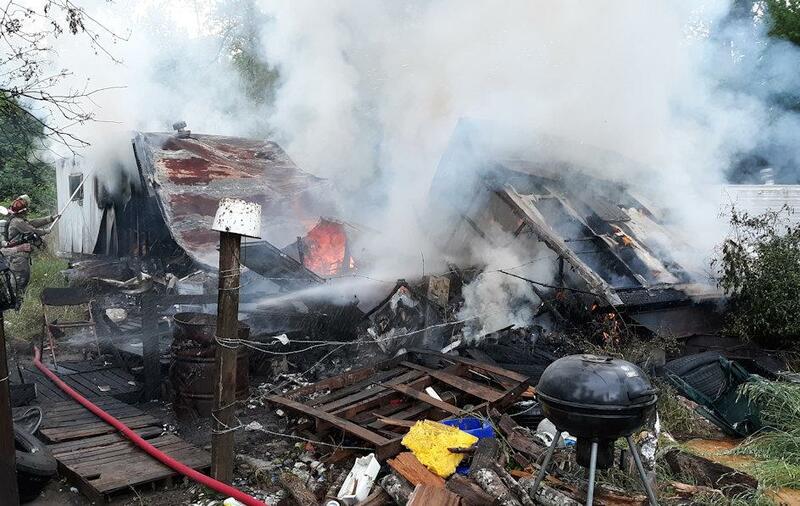 The occupants of the home are reportedly Anthony Franklin, 41, and Keila Mcgowen,45, both of Goodrich. Neither were home when the fire started. The couple were renting the mobile home. 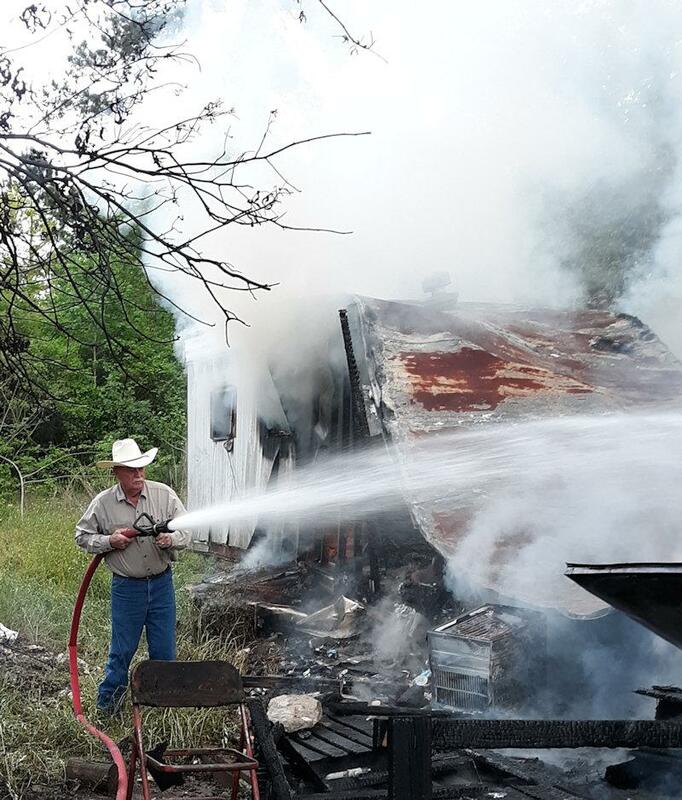 Deputy Ron Goertz with the Polk County Sheriff's Office was dispatched to the scene to initiate an investigation into the cause of the blaze. There were no reported injuries in the incident. Goodrich Fire Chief, Ken Hambrick grabbed a hose and helped put out the fire. 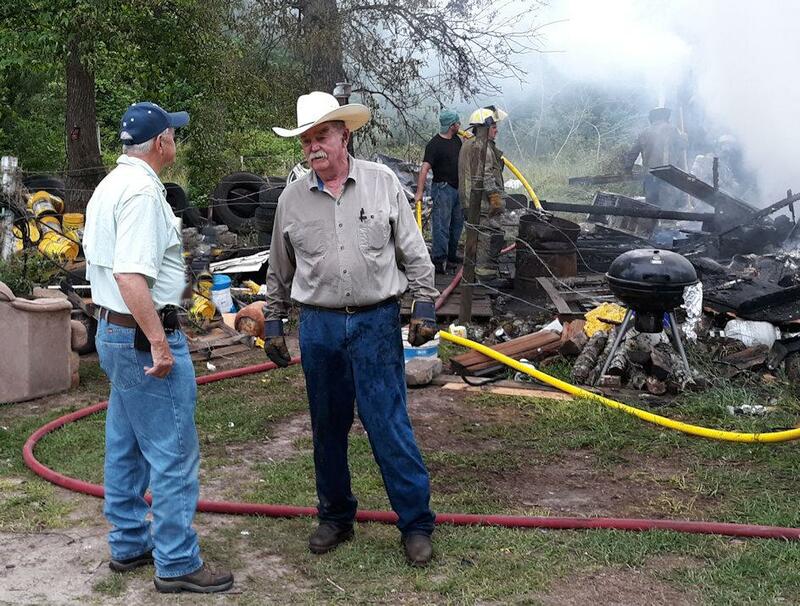 Livingston Fire Chief, Corkey Cochran (left) converses with Goodrich Fire Chief, Ken Hambrick.